No, Oscar is not the new Robin or Chewbacca or Tonto. 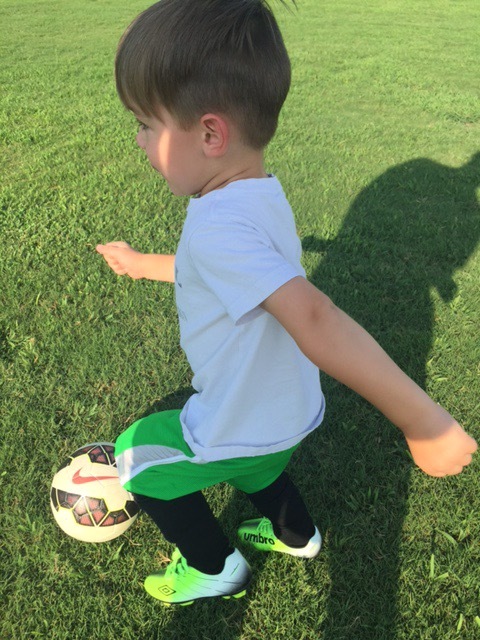 He finally gets his chance to play a sport of his own: Soccer! 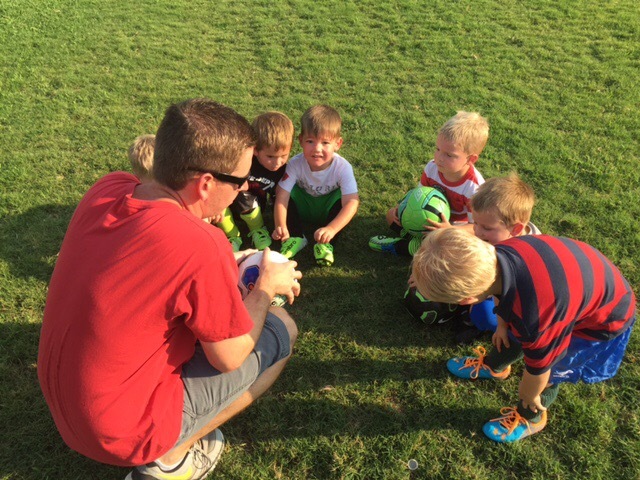 His adorable little team is the Sidekicks. Oscar must feel like he’s been playing soccer, baseball and every other sport since the day he was born. He intently watched Walt until he could toddle on his own and started kicking a soccer ball as soon as he could balance. Fun fact: Walt is a righty, but kicks with his left foot. Oscar is mostly left dominant (writes, eats, with left), but he kicks right. 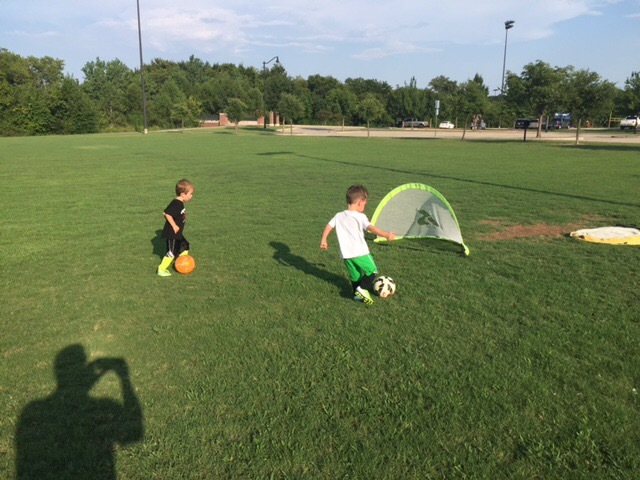 On Tuesday, Oscar had his first soccer practice. He’s one of the youngest on his team (shout out to all the summer birthdays out there), and the team is playing up because of the “Age Pure” rules. 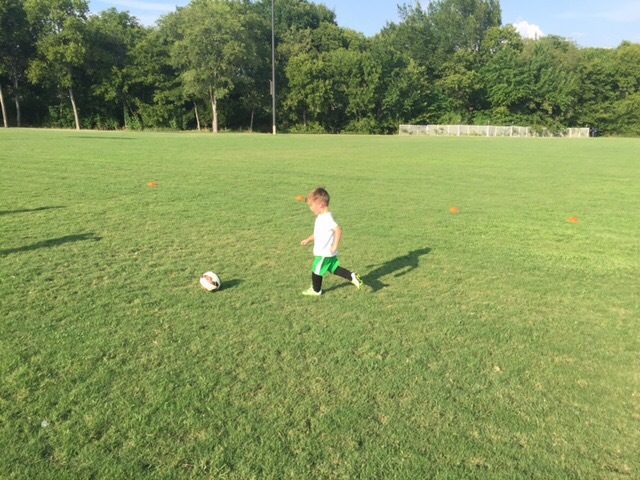 After one practice, he seems to be keeping up. Truthfully, he’s just excited to be playing. Games start in a couple of weeks and I know he’ll be super excited about that! He’s like a little wind up toy – set him down and off he goes! 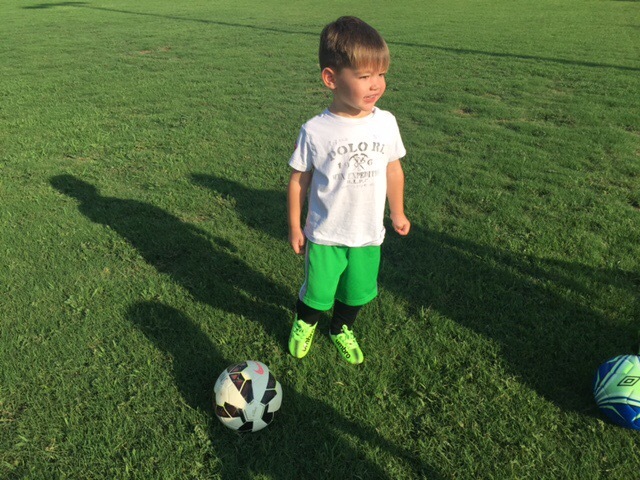 My future Ronaldo or Messi? Previous Post Introducing Vivian Elise Bruns! Next Post House Update #2 – Framed!